As the Railroad Program Coordinator at Cornerstone of Recovery, Jill Burbidge serves as a living example of the power of transformation. 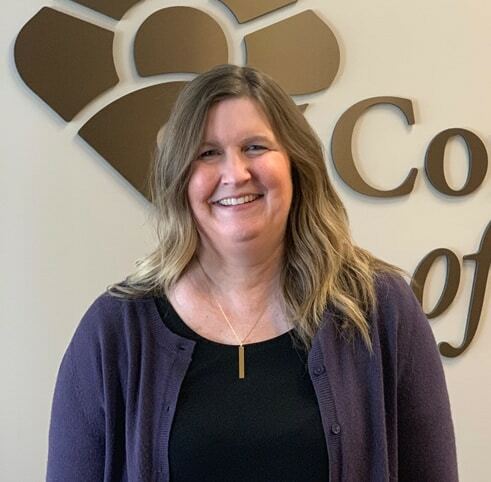 When “railroaders,” as they’re known in the industry, come to Cornerstone for residential addiction treatment, Jill acts as a liaison between the companies for which they work and the combination of therapists and clinicians that introduce them to a new way of life. She helps monitor their progress, stays in constant communication with their Employee Assistance Program coordinators and sets a living example of the power of recovery: that anyone can stop using, lose the desire to use and find a new way to live. For men and women who live in a distinct culture where stress is often chemically assuaged, it takes a steady hand and a calming presence to assure them that such a way is possible, even after they return to their jobs. That desperation for a way out, compounded with the disbelief that it’s unattainable, is something Jill remembers well. As a self-described “super mom” in the Salt Lake City suburbs, she built a façade of perfection around her life. On the outside, she was the classroom volunteer who made sure her children were well-scrubbed and her house was spit-shined. As the mother of five boys, it wasn’t an easy task, and when her sister lost a child at the same time she gave birth to her fourth child, it sent her into a tailspin of addiction. As her addiction progressed, she began stealing and obtaining pain medication from family members and was eventually arrested for obtaining a prescription under false pretenses. On the day of her arraignment, her family refused to consider anything less than residential inpatient drug and alcohol treatment, to which she reluctantly agreed — “I was just doing it for them to shut them up, because I didn’t think I had a problem,” she says. During her second week of treatment, however, she experienced what’s known in recovery parlance as a spiritual awakening. That was in June 2000, and from that point forward, she began to embrace a program of recovery that delivered her from the high desert of Utah to the foothills of the Great Smoky Mountains of East Tennessee. She volunteered at the treatment center where she was a patient, her attendance at Aftercare and 12 Step meetings eventually led to the expungement of her record. She went from facilitating Aftercare meetings to running the program, during which time she began working with patients from Union Pacific. Downsizing and company mergers eventually led to the elimination of her position, but serendipity led her to Cornerstone. Through work in the industry, she had grown familiar with Cornerstone of Recovery’s Railroad Program, and after careful consideration, she realized that she could make a more effective difference as part of the Cornerstone family.